Are you ready for a new type of sazon? Here's an event I've been looking forward to attending: the glamorous Full Moon Party at The Ritz-Carlton in Ft. Lauderdale. I couldn't wait to share this one-of-a-kind soiree on my blog! 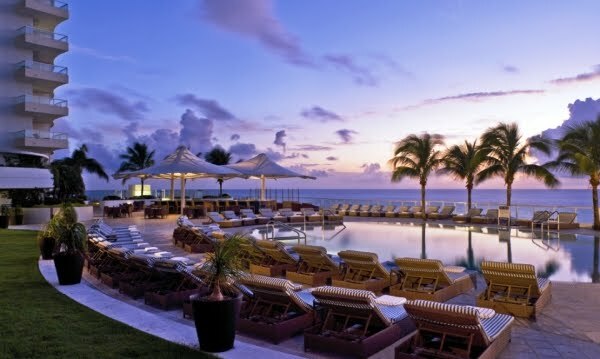 On Tuesday, December 21st, join The Ritz-Carlton Ft. Lauderdale as they host the third Full Moon Party which takes place on the 7th floor Tropical Pool Deck [pictured above] from 7 to 10 p.m. Prepare for a casual, chic and stylish gathering of locals [like Alice Battern and Tina Torrey pictured on the right] who don't have to worry about the velvet rope, cover charge or expensive valet parking [rates will be reduced for the event]. This month's party features Ketel One Oranje with $7 cocktails including Full Moon Fizz, South Florida Sunset, Man on the Moon Mojito and more! Do you need any more convincing? Okay, here's another perk: guests receive a complimentary cocktail when they donate one unwrapped toy [for children ages 2-18] benefiting SOS Children's Village of Florida, an organization that supports the foster children of Broward County. There is no RSVP required so get ready to gaze at the moon while you listen to the city's best DJ! 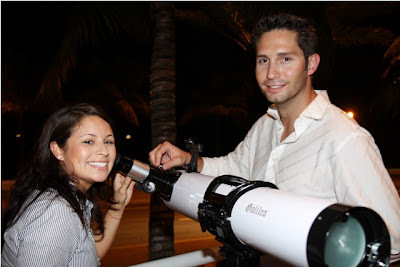 Samantha Ocampo and Kyle Jones attended the last party and watched the full moon rise out of the Atlantic Ocean through an enormous telescope.